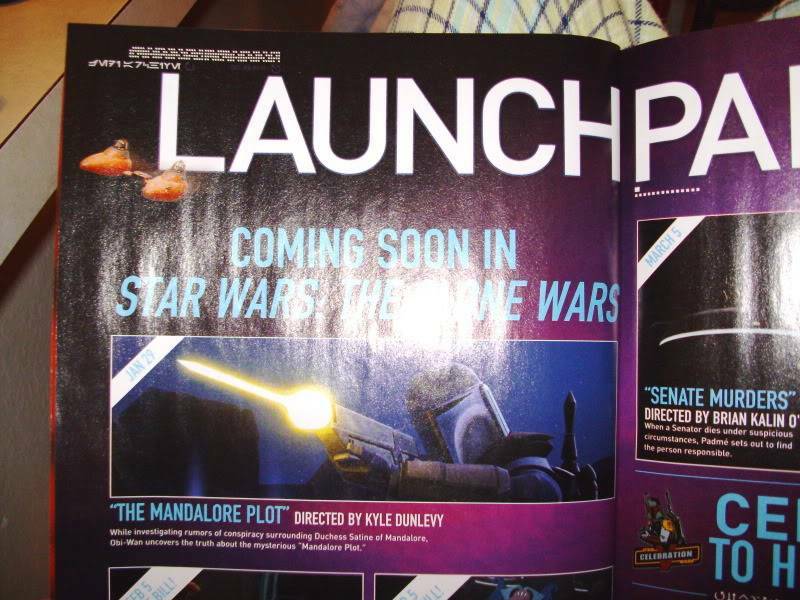 First "official art" on the Star Wars Inside magazine. I don't own it so there must be more in their article. 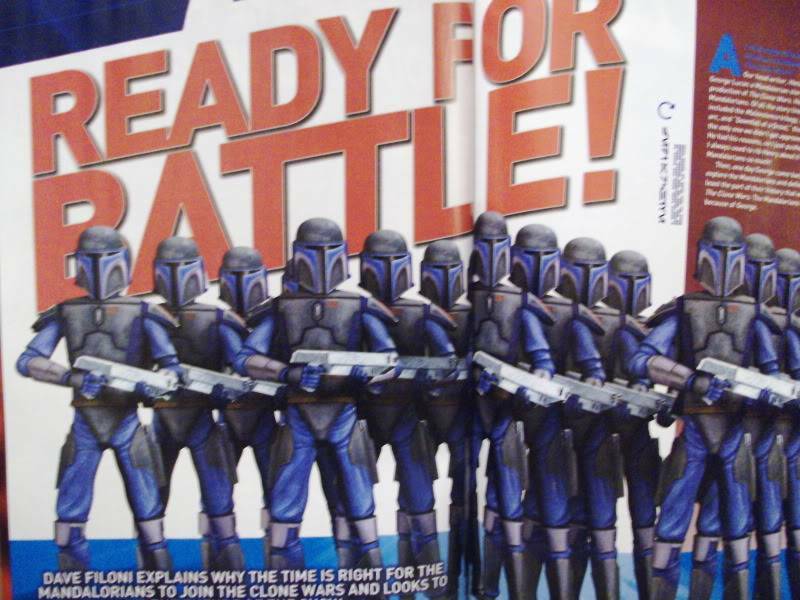 Anyway check out their armor: they all look like Jango Fetts! That's what needed, more clones, haha! 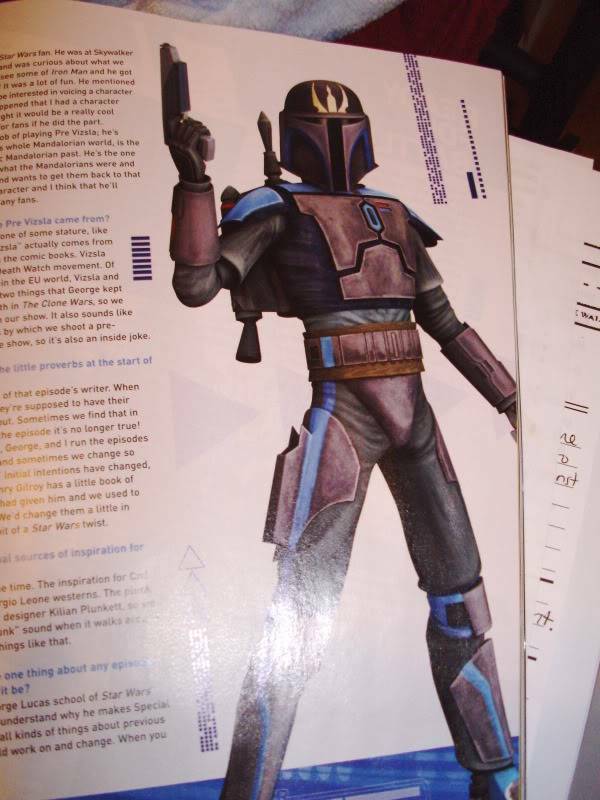 These guys are death watch, they could possibly be pre cursers to the Star Wars galaxy version of Death Watch where they color code their armor per "sub-organization" like bloodguards, wraiths, and ghosts. least thats how I justify it in my head lol. 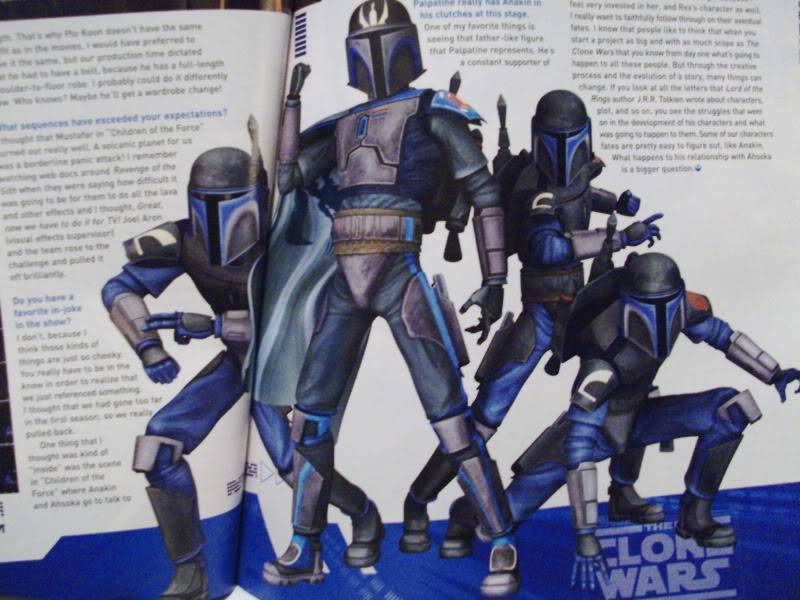 Have I ever mentioned how much I hate the style they use for the Clone Wars? 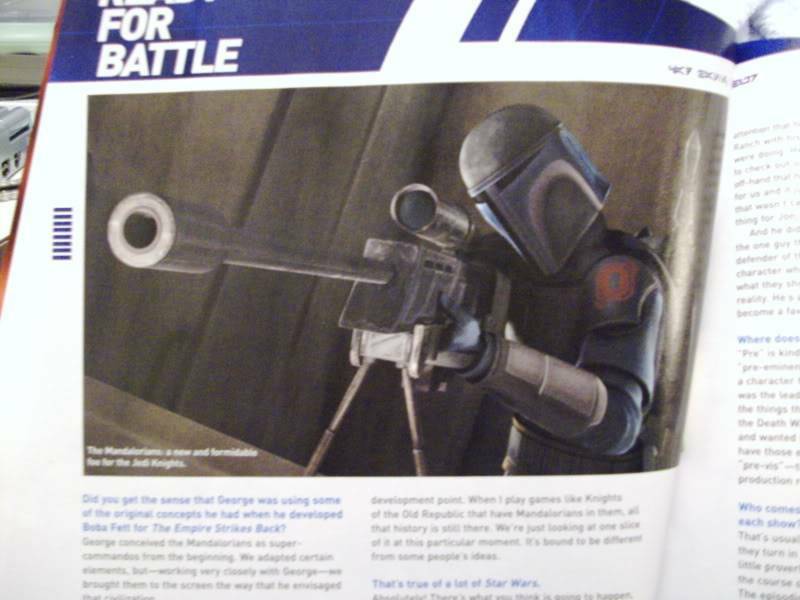 Can't say I love the helmets, either... but I'm still just a happy little fangirl that they're getting mentioned at all. Bought the magazine 'cause I'm a sucker. Kinda glad I did; it informed me that Celebration V is going to be held about 30 minutes away from me this year. 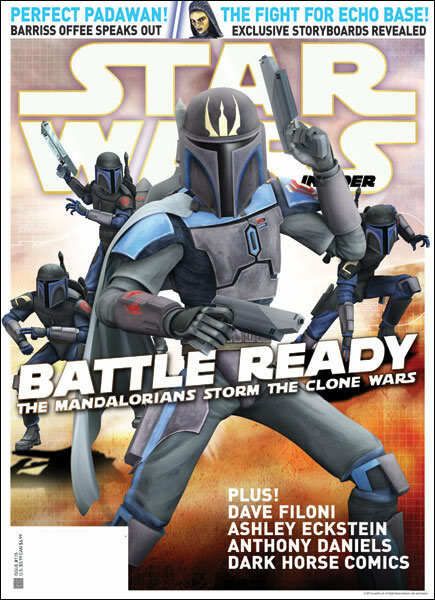 I have decided I'll just wait and see how the storyline progresses with The Clone Wars. I admit that I'm a bit skeptical, but I have to just clear my head and see how exactly they try to pull this off. I continue to keep the cartoon series separate in my mind from the movies, though. I kind of look at The Clone Wars as an additive to the Star Wars genre rather than anything canon, even though Lucas has other thoughts about that. MESH'LA: An old high school friend of mine who lives in Orlando messaged me on Facebook about this back in early December. My husband and I had our hotel room booked ($42/night) after my friend informed us that "C5" was coming to the East Coast. We also ordered our tickets already, so maybe if time allows, we could say Hello at some point during that weekend?